The number of application areas for unmanned aircraft continues to increase. As traffic is getting denser, a technical solution can help maintain separation and expedite the orderly flow of traffic. UrbanATM is a traffic control system comprising real-time conflict detection and resolution capabilities to guarantee smooth flow of dense traffic. UrbanATM is a modular, redundant and expandable system. Services can be implemented gradually - depending on traffic density and following demand. UrbanATM is designed for urban environments - for areas without clear lines-of-sight, and with atmospheric disturbances e.g. fog, rain, or dust. The system is particularly designed to work with high traffic densities. 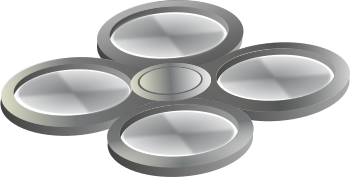 It does not distinguish between remotely piloted and software-in-control unmanned aircraft. It takes into account both airspace users that cooperate with the system, and such that don’t - like pedestrians, leisure drones, or birds. After determining positions and movements, and receiving intended destinations, we can estimate the flight paths for all objects. By interrelating all of these flight paths, we can determine conflicts or potential bottlenecks. This helps avoid congestions, and conserves the drones’ power. When authorities or emergency services are in operation, they take precedence over other vehicles in the same airspace. 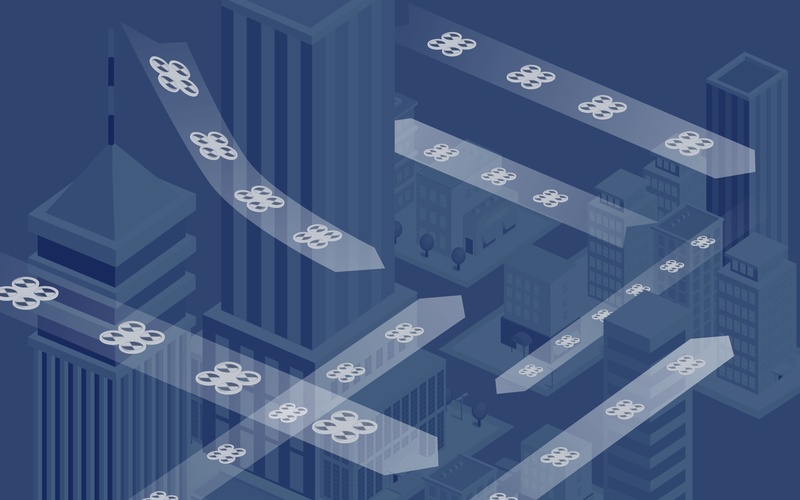 If authorised vehicles communicate their flight paths or their areas of operation, the UrbanATM can redirect other traffic. 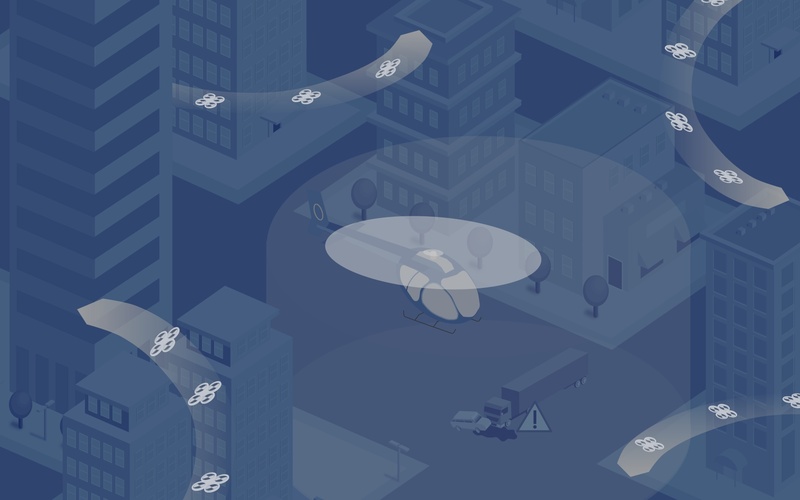 The UrbanATM can also inform authorised vehicles whether to expect unauthorised airspace users in the area of operation, or on the way there. Some airspaces are off limits, e.g. those around and above airports, power plants, or government buildings. Some airspaces are off limits only during certain times, e.g. for the protection of events or places of incidents. 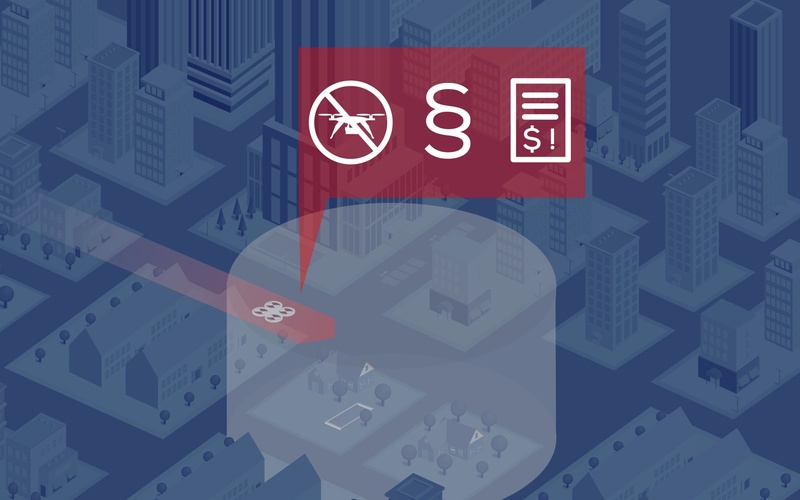 If the UrbanATM is notified about reserved areas, it can make drone pilots aware, or provide appropriate alternatives to software-in-control systems. UrbanATM principally considers private property as restricted areas. Entry into these is only possible with the express permission of the respective tenant or owner. In case of disregard of no-fly zones or obstruction of e.g. emergency flights, UrbanATM can assist the authorities in the prosecution of such violations. Find out more about this groundbreaking technology in the video below. Your browser doesn't seem to support html5 video. Try this page in Firefox or Safari. Or you can download the video instead.